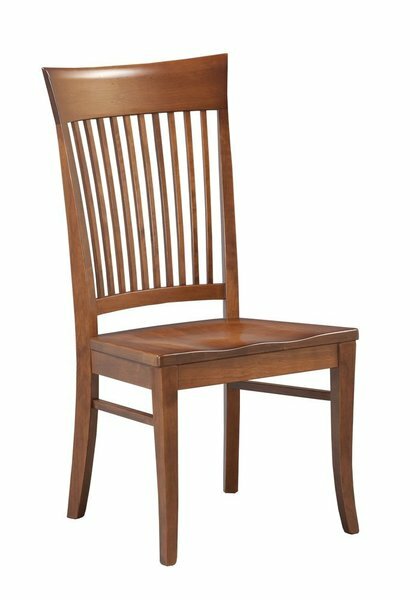 Sit in comfort in a new Amish Yulee Dining Room Chair from DutchCrafters. This dining chair is built by hand in the solid wood you choose. The chair back has a wide top chair band supported by fine slender slats. The seat is gracefully scooped, inviting friends and family to get cozy. The Amish Yulee Dining Room Chair is part of the Lancaster Collection, built by Amish craftsmen. The Lancaster Collection has been making solid wood chairs since 1974. The Oxford comes in your choice of oak, cherry or brown maple wood. Start your order online today to bring home stunning new Amish made dining chairs. If you'd like assistance, our Amish Furniture Specialists can be reached by email or phone at Questions@DutchCrafters.com or Toll-Free at 866-272-6773. Thank you for shopping with us.